Philips Advance Core and coil metal halide lamp ballast has a ballast power rating of 118-Watts, voltage rating of 277-Volts and current rating of 0.45-Amps at 60-Hz. This ballast has one 100-Watt power rated metal halide lamp for lighting. 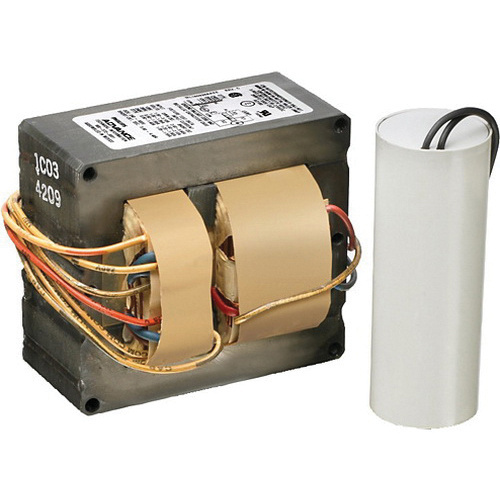 The ballast incorporates 10-mF 280-Volt dry film capacitor and features high reactance/high power factor circuit. The metal halide lamp ballast measuring 3.1-Inch x 2.6-Inch x 2.2-Inch, has a ballast factor of 1 and power factor of 0.9. This metal halide lamp ballast is suitable for outdoor use. The lamp ballast meets UL 1029A, CSA and RoHS standards.